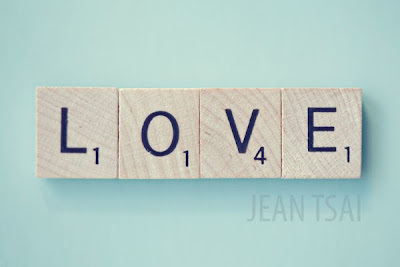 Who knew that these simple wooden letters could be so romantic? For anyone looking for a creative idea to propose, look to classic Scrabble to win the game of love. So funny! I was playing scrabble this past weekend with the bf and spelled birthday for his birthday this upcoming week! Right then I thought to myself....what a great and creative way to propose! 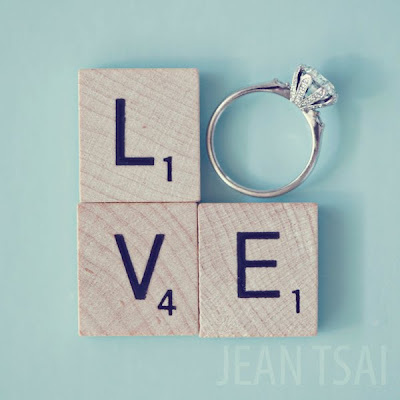 I hope some wonderful guy reads this and chooses to propose through a game of scrabble! I mean how hard can it be to spell out Will You Marry Me....ok, well maybe it would take a round or two! The second photo is my favorite, but this post reminds me of the Beatles song, "All You Need is Love." my friends husband proposed this way, now they have the board framed. so sweet! anyone know where this ring is from? i love the basket setting on it! Very creative. I Love it. And yes the pun was intended. The second photo is a GREAT idea for wedding invitations or thank you cards! I love the simplicity and creativity.